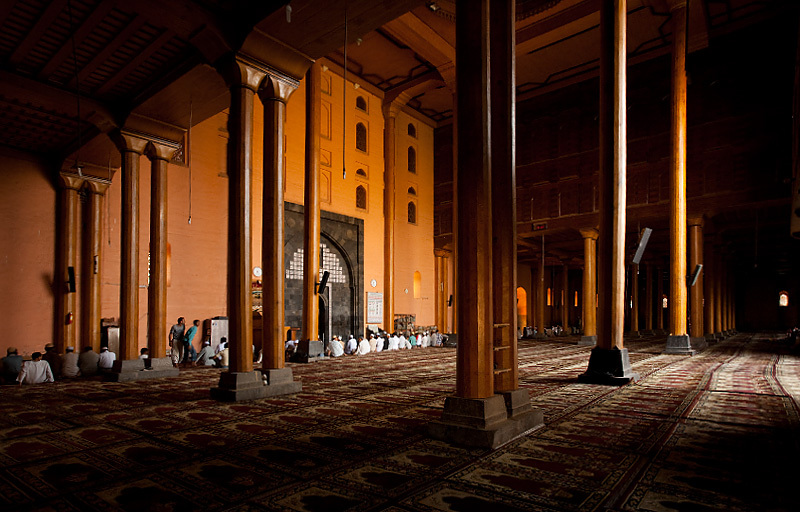 Muslims kneel for prayer in Jamia Masjid's cavernous prayer hall. Only men allowed. Women pray in the dark rear of the prayer hall. 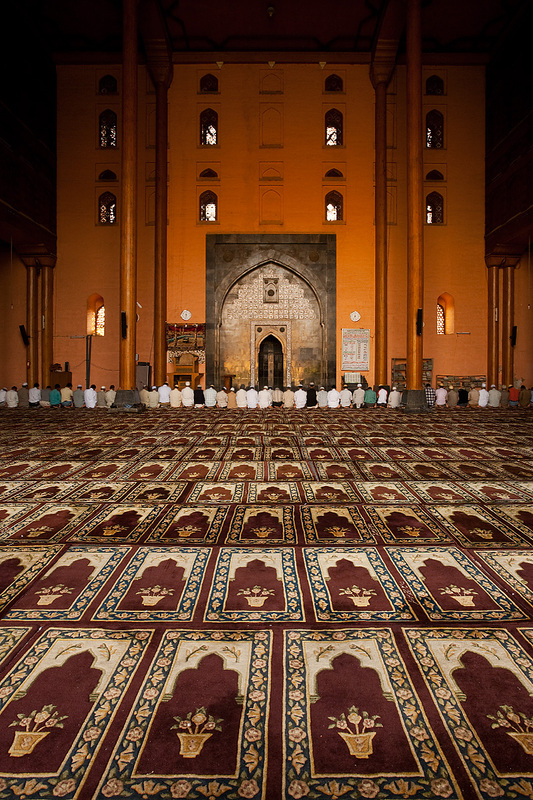 Muslims sit for prayer in the immense prayer hall of Jamia Masjid. In the far right of the photo, you can vaguely identify the huddled line of women praying against the dark rear wall of the main prayer hall. 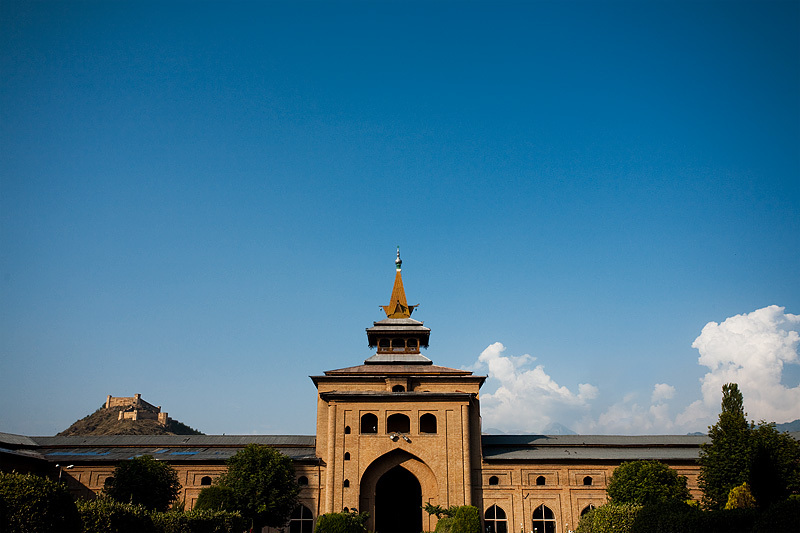 Srinagar Fort is seen from the inner courtyard of Jamia Masjid. After worship, a beautiful view awaits those exiting the main prayer hall.